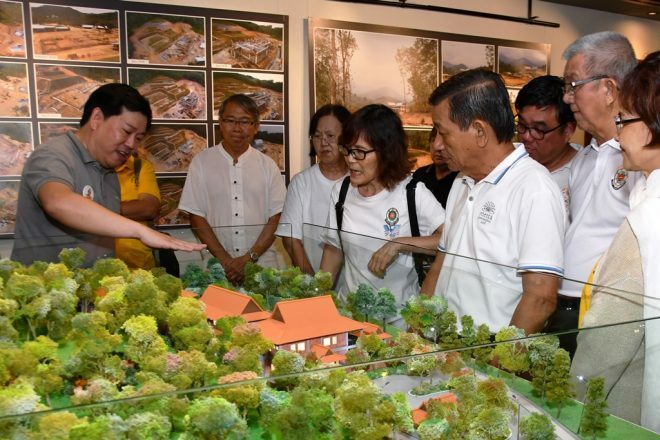 Seck Kia Eenh friends were briefed on the latest updates of the ‘Wisdom Park’ project. 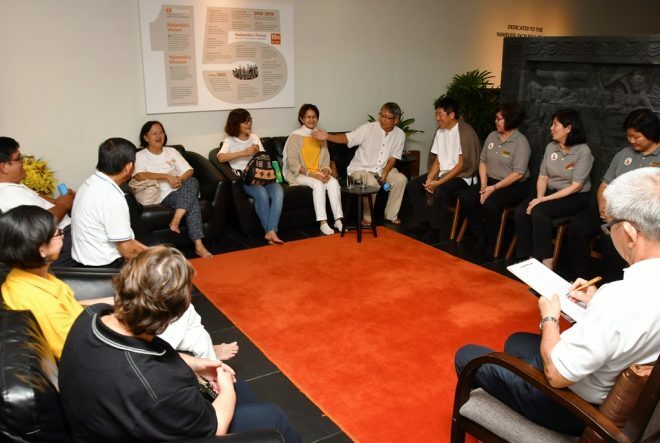 On Sunday 9 December 2018, Nalanda Centre warmly welcomed 10 members of Seck Kia Eenh (SKE) Temple, a long-standing Buddhist association in Melaka with a heritage that dates back to 1920. 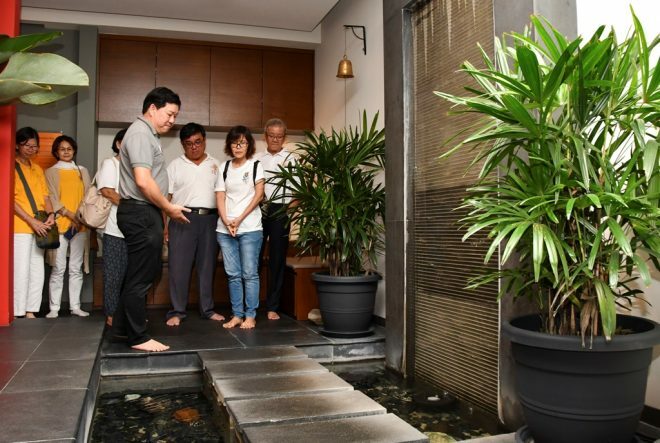 The group, led by the Temple’s President, Associate Professor Tan Kim See, was on a day-trip to visit several Buddhist centres around Klang Valley. Nalanda President Sis. Evelyn Chow together with Nalanda officers, received our guests with much joy as old friendships rekindled. After a tour of Nalanda Centre, Wisdom Park Exhibition, and K. Sri Dhammananda Centre, they met with Nalanda founder, Bro. Tan and discussed briefly on Dhamma learning for youths. Bro. Alex bringing SKE friends on a tour of Nalanda Centre. 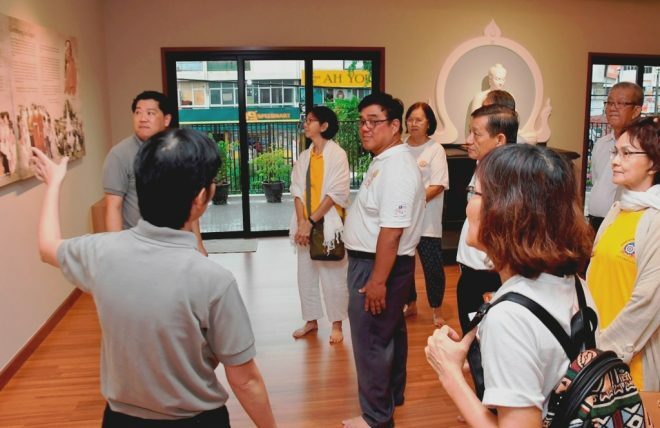 They also visited the newly-launched K. Sri Dhammananda Centre. We thank SKE for visiting us and wish you fruitful progress in your earnest Dhammaduta work. May we continue to keep our spiritual friendship strong and thriving! Sadhu. We rejoice in the opportunity to connect with spiritual friends from Seck Kia Eenh. May we continue to keep our spiritual friendship strong and thriving.